Paul is a Graduate Chartered Accountant having qualified with Arthur Young, one of the founding partnerships of Ernst & Young. After qualifying he worked for Goldman Sachs in London establishing various operations and back office functions. After a short spell at British & Commonwealth, in 1990 he joined the Willis Faber & Dumas Group initially in the Group Finance function. 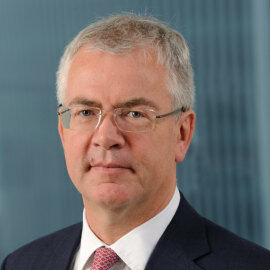 After an interim role in North America, Paul was appointed as Chief Operating Officer of Global Specialties in 2005, and in 2011 joined the Willis Limited Board as COO.